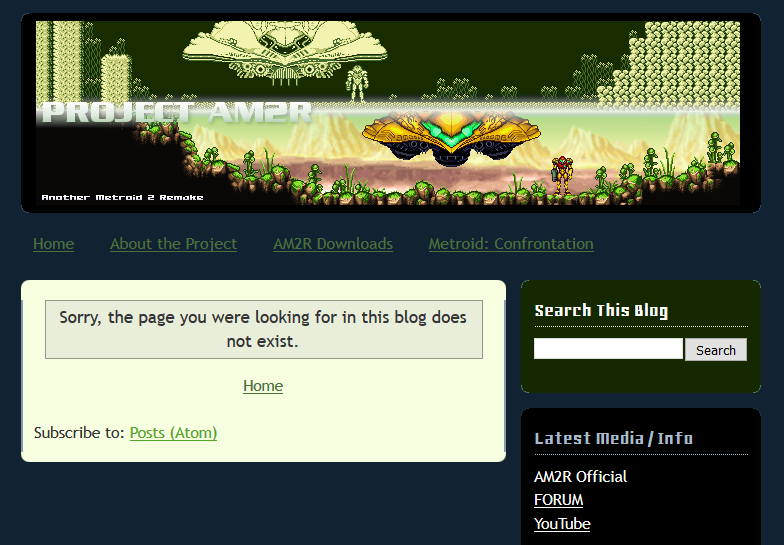 Remember a few days ago when we said AM2R had been taken down via a DMCA notice? And how we’d hoped it was a faker like with the other fan game take downs? Well, the worst has now been confirmed. The attorney has gotten back in touch with us and it appears the notice is indeed legitimate. We have no further comments. So yeah, it’s not a Jason Allen type situation here. Someone at Nintendo or Miller Nash has caught wind of the project and decided to try and get it taken offline. As a result of this, it seems things are a bit chaotic over on the official site. For example, remember that post about the game’s release? How version 1 had just been released to the public? Well for whatever reason, it’s now gone. As have the download links and (for some reason) every post on the blog since June. No, we don’t understand the last one either. However, there is some good news here. Namely, the game’s release has ensured that millions of people have copies of it. As a result of this, it can be found on all manner of file sharing and torrent sites through minimal amount of searching. Smooth move there lawyers! Guess someone doesn’t know/care much about the Streisand Effect! And talking of take downs and sharing, I do have to wonder one thing here. Namely, why now? The game’s been up and running for about ten years now. 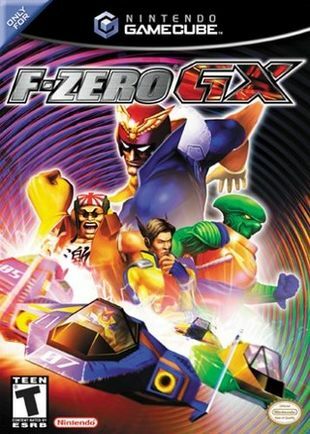 In that time, it’s been on tons of best fan game lists, been featured on fan sites, had videos of demos posted online and has clearly been on Nintendo’s radar all the while. So if Nintendo were seemingly so happy to ignore it then, why not now? Did something change at the company in the last few years? Because it seems we’re getting a lot more arbitrary shut downs now than we did in the 90s or early 00s. Are Nintendo’s recent business failures causing it to look for scapegoats? Did the change in management put a hyper paranoid board of directors in charge? Do Nintendo just hate complete fan works, and leave the ones that are in development? Did someone literally tip them off and ask for it to be shut down? Because it seems rather strange that it’s only now that AM2R is being wiped out. It makes no sense, and seems to be completely out of the blue. But hey, what’s done is done. If Nintendo doesn’t like a fan game or work that uses their characters, there’s not really much to do at this point. Just keep playing it, hope it gets distributed enough that others can find it and hope nothing more serious comes as a result. It’s incredibly disappointing news, but it’s somewhat expected none the less. So what do you think? Are you disappointed that this great Metroid 2 remake was taken down? Why did it happen? A shame really, but maybe this shows Nintendo we want more classic metriod? Hopefully. Though I'm not 100% confident they'll figure that out. I hope they will wake up and see that, even a remake of the "worst" title of the series can be awesome. This Fan game is wonderful. And it reminds me how the Metroid franchise is being forgotten like the Wario Land one is.Fans have dreamt of a game like that! 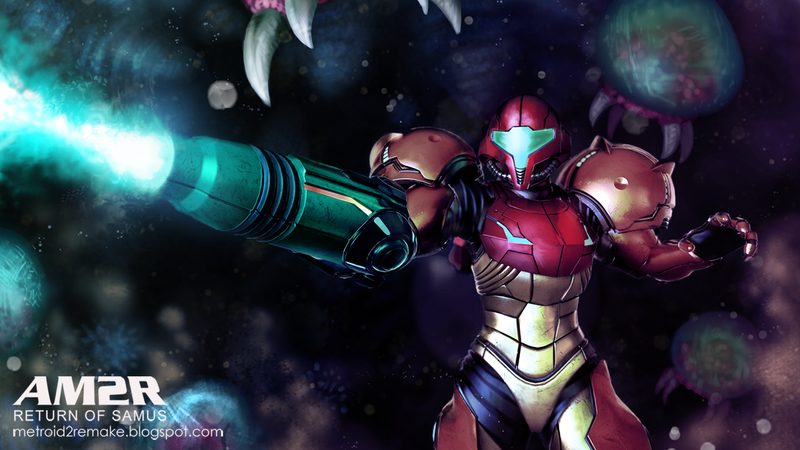 It feels new, and it plays great, it brings us back to the Super Metroid era.